Finn Juhl built his house at Kratvænget No. 15 in Ordrup outside Copenhagen, together with his first wife, Inge-Marie Skaarup. It was his ambition to create a home, where he had designed every single detail himself, and to create an overall, general look. He achieved this in 1942, when the building presented a gradual flow between different areas, rather than a collection of individual rooms. Art was Juhl’s main source of inspiration and played a predominant role at his home. He was a keen collector of paintings as well as sculptures, carpets and vases. He admired artists such as Alvar Aalto, Sonja Ferlov Mancoba, Asger Jorn, Vilhelm Lundstrøm and Erik Thommesen. 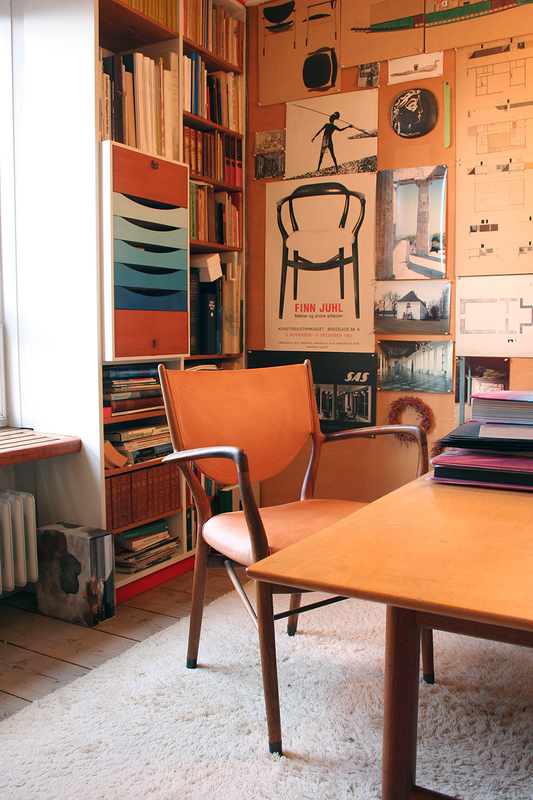 Kratvænget became Finn Juhl’s design lab. Only if the furniture worked in his own home, would they be launched at a larger scale. Finn Juhl worked with a theory which he called “from the inside and out” His idea was that furniture created the room, and the room created the facade. This theory dictated his furniture design as well as his interior undertakings. Kratvænget 15 is today seen as a treasure trove from a significant époque in Danish design history. The house is now a museum and provides an opportunity for the public to feel and sense the design ideas, which became known as Scandinavian Modern. In Juhl’s view, furniture should not have a front and a back. One should be able to view his pieces of furniture from all angles, since they are the focal point of the room, and he primarily placed furniture away from the walls. Credits: Words and Photos via Finn Juhl website with thanks.